Inspiring Hope – Join me as I feature incredible people who are making a difference for families affected by the wildfires in Lake County, California. I have the privilege of meeting homeowners, volunteers and local business leaders who are making Lake County a better place. 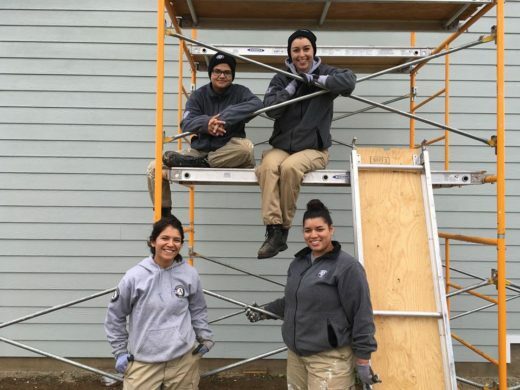 Today how young people are making a different through the AmeriCorps program. 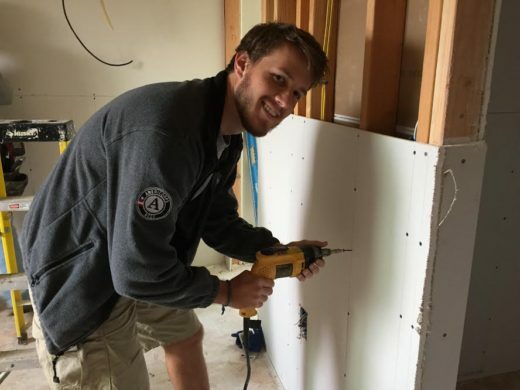 Follow our series and read our previous blog, featuring a long term volunteer whose “working” this fall at Hope City. 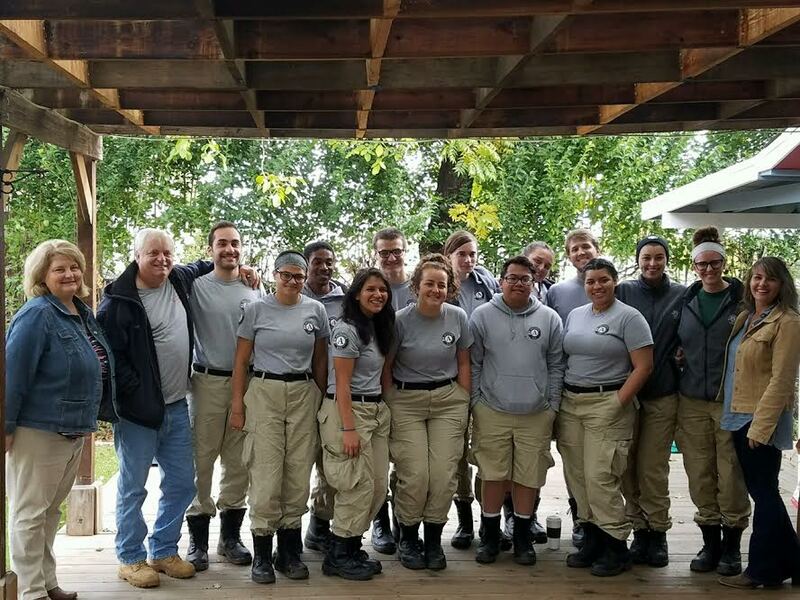 Hope City coordinates a wide variety of volunteer teams, but we’re enthusiastic about hosting an AmeriCorps team for the next year. 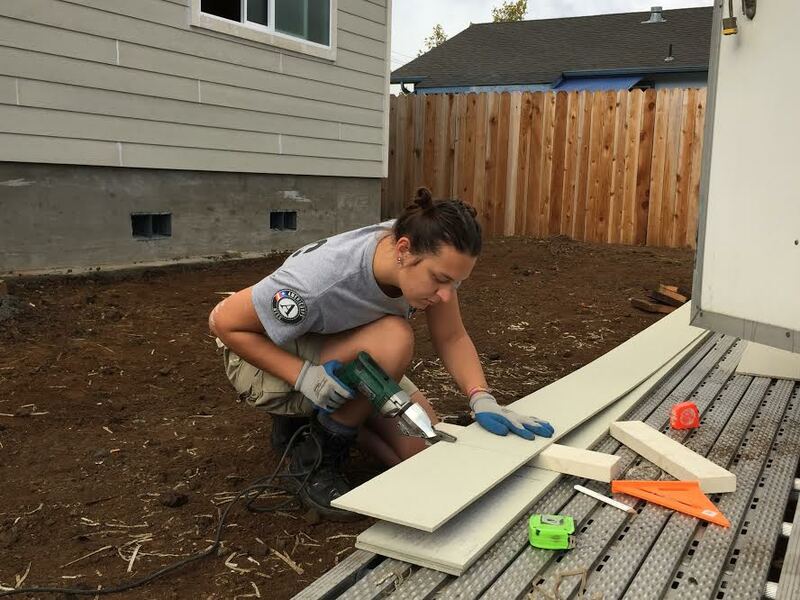 Our first group, Blue 2 arrived November 4 and has been working on all five of our current home rebuilds. 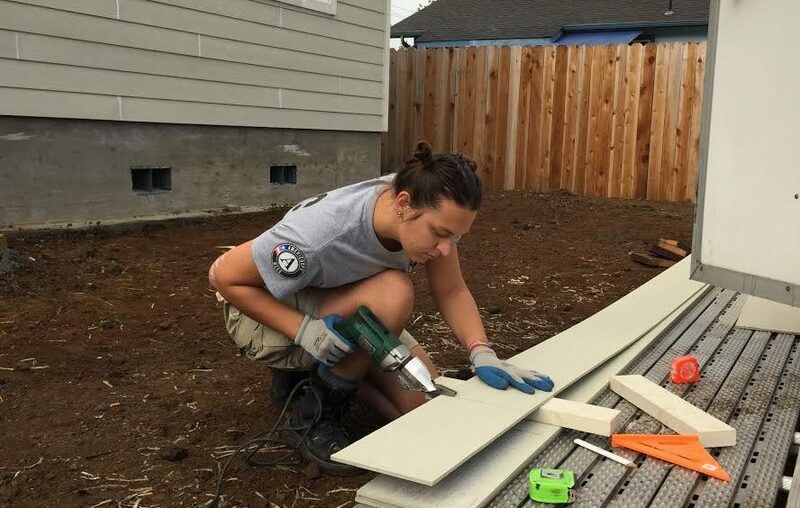 An AmeriCorps team includes members from 18 to 24 who commit to volunteer service for one year. This team of 13 members hails from across the country and is staying in Middletown within walking distance of four of our work sites. 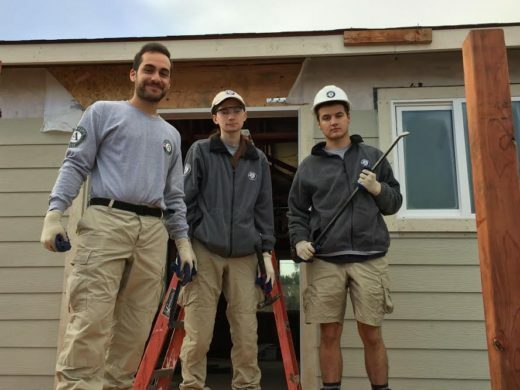 If you’re in town during their stay, you may spot them in the khaki work pants and gray shirts, sporting the AmeriCorps logo. They are here committed to helping with the Hope City rebuilds. Our partner, North Coast Opportunities, is the sponsor agency for the team. They completed all the paperwork and have provided great support. 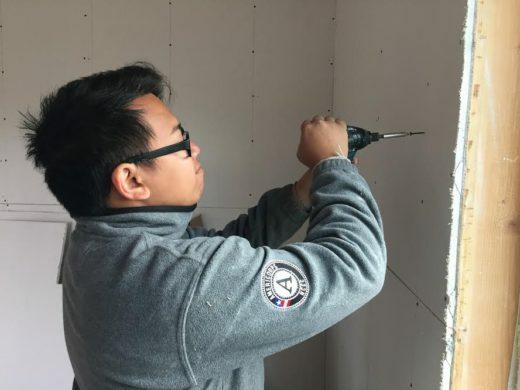 Crew members have already installed insulation, put up drywall, installed siding, painted, installed windows and doors and prepped for concrete work. And they are only on their second week of work. 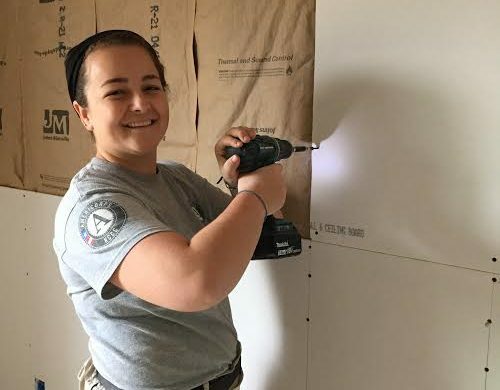 The AmeriCorps National Civilian Community Corps is a full-time residential program for men and women, ages 18-24, that strengthens communities while developing leaders through direct, team-based national and community service. 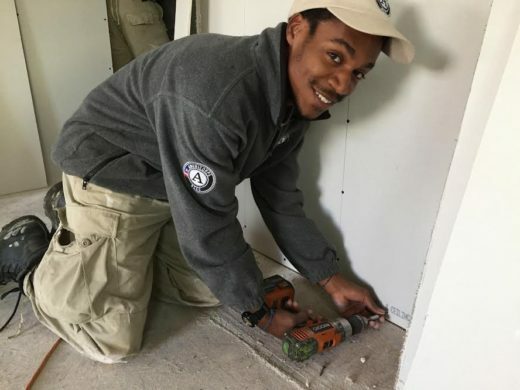 Join us in thanking our AmeriCorps volunteers! We’re thankful for their hard work and great attitudes! Hope City: Rebuilding homes, restoring lives!